Tonight we will all be witness to one of the best meteor showers of the year with the arrival of the Quadrantids (pronounced Kwa-drun-tids). The peak will start around 8pm and last until 2am however when and where one will see what varies from expert to expert. 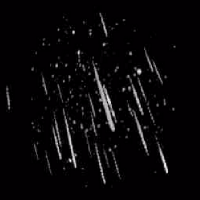 This is the very first meteor shower of the year, as well as and one of the strongest. While this annual celestial event goes from January 1st to the 10th, its peak or maximum activity is the night between January 3rd and the 4th. We are also getting a new moon which will leave the sky even darker so the conditions should be about the best to see the meteor trails. According to reports, we should be able to see anywhere from 40 to 60 meteors per hour however these numbers have jumped up to 120 per hour. This should be a spectacular show. Of course, what we see is going to be dependent on the amount of ambient light in our immediate vicinity. In Toronto, an exceptionally large well lit urban sprawl; there is a good chance of missing most of the action. For those with a car and are eager to see the best, taking a spin out of town would be highly recommended. As an aside: in all the years I have lived in Toronto, I have never seen the Milky Way. Imagine my surprise and delight during the blackout of August 2003 when the power went out everywhere, I walked around the block and could see for the first in history, well my history, the Milky Way and I was smack dab in the middle of the city of Toronto. That was truly cool. Jaden Smith Wants To Go Nightclubbing With Selena Gomez- But He’s Only 14!